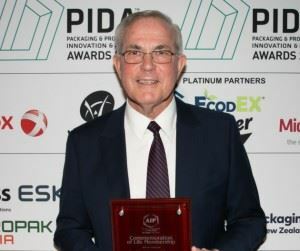 The Australian Institute of Packaging (AIP) is pleased to advise that one of its Life Members Keith Chessell FAIP has been recognised for his significant contribution to the packaging industry over the last 50 years with a Lifetime Achievement Award from the World Packaging Organisation (WPO). Keith has had 46 years with the one company in the Food, Beverage & Confectionery industry (Parsons, Cottee’s, Schweppes, Pepsi, Cadbury, Kraft/Mondelez). Over that extensive period, he was involved in a range of management roles including raw & packaging materials procurement, research and development involving the innovation and launch of new products and the relaunch of existing products and packaging. Keith has a broad experience with food & beverage packaging materials, procurement and equipment and is recognised as a leading packaging technologist in ANZ. Over the last 17 years his focus has been in the training, education and assisting individuals and manufacturers in understanding the importance of sustainable packaging design. In more recent years he has been actively involved with the Australian Institute of Packaging (AIP) in providing packaging technical expertise for industry-based Sustainable Packaging and Save Food Packaging programs for Australia and NZ. In the last ten years in particular Keith has been an active volunteer for the AIP and represents the Institute on the Standards Australia EV-021-03 Environmental Labelling Committee, is the AIP Board newly-appointed Board Member on the Australian Packaging Covenant Organisation (APCO) is on the APCO Technical Advisory Committee (TAC). Keith has been a stalwart of the Australia and New Zealand packaging community for close to 50 years and since his retirement he has invested even more time in giving back to the industry. Keith has a true passion to ensure that packaging technologists and designers better understand Sustainable Packaging and Save Food Packaging and the AIP are proud that he is a part of the Institute. Keith Chessell is a truly kind and generous person who always helps everyone around him with no hesitation. Keith has invested a significant amount of volunteer hours into the Sustainable Packaging TAC and the Standards Committee; all during his retirement. Keith also provides technical support and leadership for the AIP’s partnership in the Cooperative Research Centre (CRC) Fight Food Waste and also served as the AIP’s representative on the National Food Waste Strategy Manufacturing and Distribution Supply Chain Advisory Group. He has also played an active role in the development of the Save Food Packaging Design Award, as a judge in the annual Packaging Innovation & Design Awards for ANZ, as a lecturer of the Role of Packaging in Minimising Food Waste training course and has been a lecturer in the Master of Food & Packaging Course for the AIP since its inception four years ago. Keith has been a significant contributor to the technical side of all of the AIP industry-based Save Food and Fighting Food Waste programs with the Federal Government National Food Waste Strategy and also the Fight Food Waste Cooperative Research Centre. Keith’s packaging technical expertise have ensured that the AIP programs are realistic and suited to packaging technologists and designers. He is an integral part of this team and has invested hundreds of hours in volunteering his time and knowledge to ensure that both programs have been developed and are underway in Australia and New Zealand. The Australian Institute of Packaging speaks to Ankur Saxena, who has recently attained the status of a Certified Packaging Professional, about this new accolade and his contributions to the packaging industry. AIP partners with Vanden Recycling and South Melbourne Market: "Think beginning not end"
Vanden Recycling Pty Ltd and South Melbourne Market (Port Phillip City) were the hosts to start the Australian Institute of Packaging‘s 2019 activities. The Australian Institute of Packaging (AIP) has announced the winner of the tenth annual APPMA Scholarship program that entitles one lucky person to receive entry into a Diploma in Packaging Technology valued at $9,000. The winner is Janell Siek who sees that packaging is perhaps the most hard-working component of any product found in the retail space. The Australian Institute of Packaging (AIP) has created a new training course on ‘The use of Life cycle Assessment Tools for Sustainable Packaging Design’. This is aimed at providing an introduction and learning framework for packaging industry professionals to apply lifecycle thinking to their working contexts and includes an understanding of the reasons why lifecycle thinking is critical. The Australian Packaging and Processing Machinery Association (APPMA), in conjunction with the Australian Institute of Packaging (AIP), are pleased to announce that there are three finalists for the tenth annual Scholarship program which will enable one lucky packaging technologist, designer or engineer in Australia the opportunity to complete a Diploma in Packaging Technology to the value of $9,000. The Diploma in Packaging Technology is a Level 5 qualification which is internationally recognised. Past APPMA Scholarship Winner Alexandra Brayshaw Dip.Pkg.Tech. MAIP, Accessible Packaging Researcher in Arthritis Australia’s Accessible Design Division, recently attained her Diploma in Packaging Technology which is offered exclusively through the Australian Institute of Packaging (AIP). The Australian Institute of Packaging (AIP) confirms that on the 30th of April all of industry will have the opportunity to attend not one packaging educational event, but three. Starting the day with a Women in Packaging breakfast, followed by the biennial AIP National Technical Forum, then finishing with the gala Australasian Packaging & Innovation Design Awards dinner - this is a must-attend. The Australian Packaging and Processing Machinery Association, in conjunction with the Australian Institute of Packaging, are pleased to announce that submissions are open for the tenth annual Scholarship program which will enable one lucky packaging technologist, designer or engineer in Australia the opportunity to complete a Diploma in Packaging Technology to the value of $9,000. The Australian Institute of Packaging (AIP) and Packaging New Zealand are pleased to introduce a new Accessible Packaging Design category to the annual Packaging Innovation & Design Awards program. The Accessible Packaging Design Special Award is designed to recognise packaging that is accessible, intuitive, easy-to-open and innovative and is in partnership with Arthritis Australia and Arthritis New Zealand. The Australian Institute of Packaging (AIP) recently ran 3 new educational seminars on packaging for over 600 people at the inaugural ProPak Philippines trade show. Powered by ProPak Asia, ProPak Philippines was truly the first-of-its-kind food, drink and pharmaceutical focused international trade exhibition for the regions rapidly expanding processing & packaging industries. One of the core objectives of the Australian Institute of Packaging (AIP) is to ensure that individuals are recognised for their significant contributions to the packaging industry. Dr Carol Kilcullen-Lawrence PhD, FAIP, CPP, National President of the AIP had the opportunity at the gala awards night on the 2 May to present five AIP Special Awards. The AIP Special Awards are not given often and are designed to recognise inspirational individuals who have contributed significantly to the packaging industry over many years. Packaging New Zealand are pleased to announce that entries are now open for their annual Scholarship program for 2019. The annual Packaging Scholarship enables one lucky packaging technologist, designer or engineer in New Zealand the opportunity to complete a Diploma in Packaging Technology to the value of $9,000. The Diploma of Packaging Technology is offered through the Australian Institute of Packaging (AIP); the peak professional body for packaging education and training in Australasia. Three Australian companies and one New Zealand company have achieved international recognition for their innovative and unique packaging designs in the prestigious WorldStar Packaging Awards. The winning companies include Caps and Closures for Precise Pour, ILNAM Estate for 8 Kangaroos, Lactote for POLATOTE and Radix Nutrition for their Foil Packaging Breakfast Pouch and were across three categories. The Australian Institute of Packaging (AIP) and Packaging New Zealand, are pleased to advise the 2019 Australasian Packaging Innovation & Design Awards (PIDA) will recognise companies and individuals who are making a significant difference in their field in Australia and New Zealand. With 2018 nearing an end, it is time to reflect on what was one of the most successful and action-packed years the Australian Institute of Packaging (AIP) has ever had in its 55-year history. We started the year by hosting the 2018 AIP National Conference, 2018 Packaging Innovation & Design Awards, 2018 WorldStar Packaging Awards, the 100th World Packaging Organisation Board Meeting and the inaugural Women in Industry Forum and we just kept going for the rest of the year. We have tried to highlight some of the key events and initiatives that the AIP undertook this year in this our final newsletter for 2018. AIP Members and industry colleagues are invited to participate in APCO's Sustainable Packaging Guidelines (SPGs) Consultation. APCO facilitated a workshop on 29th August 2018 in Sydney to collect views on the sustainable packaging principles and inform the development of the new draft SPGs. APCO is now opening the draft SPGs for industry consultation to ensure the new proposed format and attached resources meet your needs and expectations. 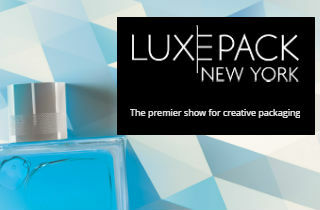 PACK EXPO is the largest international packaging exhibition in its region, alternating between Chicago and Las Vegas each year. The 2018 event was held in Chicago. There were more than 2500 exhibiting companies spanning nearly 116,000 sq m of exhibition floor space, making it the largest packaging show of 2018. The World Packaging Organisation (WPO) biannual meetings were made all the more special due to the hospitality and generous support of Labthink Instruments; an AIP supporter and recent exhibitor at our 2018 AIP National Conference. Nerida Kelton recently attended the 101st World Packaging Organisation (WPO) Board Meetings which were hosted by China National Export Commodities Packaging Research Institute (CEPI) in Jinan, the capital city of Shandong, China. Shandong, with a history of more than 5,000 years, is considered one of the birthplaces of Chinese civilisation including Confucius and is often called the ‘Spring City’ for its famous 72 artesian springs. Two score and ten packaging professionals both Australian Institute Members and associate companies representatives visited the Rethink Centre and MRF on 15 August 2018. Rethink offers a host of educative and entertaining waste minimisation programs for all age groups which includes providing an opportunity to view inside a MRF whilst operating. A small group of Australian Institute of Packaging (AIP) members recently attended a site tour at CHEP’s Service Centre in Erskine Park, Sydney. Lachlan Feggans, Senior Manager of Sustainability for CHEP, and Mathew Karbowiak, Service Centre Manager, provided the group with the opportunity to learn more about CHEP’s pallet reconditioning operations, the role of CHEP’s National Logistics Control Centre, and the value CHEP provides through the circular supply chain. For the third consecutive year the WPO, supported by the AIP and CEPI (China National Export Commodities Packaging Research Institute), were back in China to once again provide an intensive week of packaging technology training. This year there were 54 attendees, made up from industry, students, as well as academia (lecturers) from various universities in China involved in Packaging Design or Packaging Science. We used the facilities of a Jiangnan University, in Wuxi. The Australian Institute of Packaging (AIP) proved once again that it is committed to the New Zealand Food and Beverage industries by taking a lead role in running quality training and education programs as a part of FoodTech Packtech, which was held in Auckland last week. The AIP recently ran an in-house corporate training day on an ‘Introduction to Packaging Materials’ for Caspak at Braeside, Victoria. AIP Education Director, Prof Pierre Pienaar ran the training day. The Australian Institute of Packaging (AIP) is pleased to advise that the Institute has now joined the SAVE FOOD Initiative as part of the AIP’s commitment to the United Nations Sustainable Development Goal 12.3 and the National Food Waste Strategy in Australia. Coles will be the first national supermarket retailer in Australia to introduce recyclable packaging made entirely from a combination of recycled and renewable material for a wide range of its Coles Brand fresh meat and poultry products. By purchasing an expected 121 million recyclable meat and poultry trays in 2018 from renowned Australian manufacturer Plantic Technologies, Coles is aiming to use the equivalent of 150 million recycled water bottles to combat Australia’s plastic waste. As the course lecturers for both the Food Packaging Materials and Processes Unit and Food Packaging Design Unit of the Master of Food & Packaging Innovation Course at the Melbourne University, the AIP and their expert lecturers, led by AIP Education Director, Prof Pierre Pienaar FAIP, CPP, recently spent two intensive weeks with the latest intake of students in Melbourne. The University of Melbourne and the Australian Institute of Packaging (AIP) would like to offer your company the opportunity to engage students from the Master of Food and Packaging Innovation (MFPI) for an industry internship in 2018. The Master course is a joint initiative between the University of Melbourne and the AIP. Saving food waste - what is packaging's role? As a part of the Australian Institute of Packaging’s commitment to the SAVE FOOD Initiative by FAO, the National Food Waste Strategy, and the United Nations Sustainable Development Goal 12:3 the Institute is focused on education and training programs that can assist with minimising food waste and loss globally. With this, the AIP developed a half-day training course on The Role of Packaging in Minimising Food Waste which they ran in July in New South Wales. Television producer Jerry Bruckheimer may well have visited the Orora Research and Technology Centre to get inspiration for the long running series Crime Scene Investigation more commonly referred to as CSI. Rafik Faltas, Centre Manager hosted a select group of packaging professionals from the Institute who visited the Orora Fibre Packaging Research and Technology centre in the Melbourne suburb of Scoresby. Jim Selway a long time member of AIP was the tour guide. The question of ‘What is the true role of packaging in minimising food waste’ continues to be asked all the way around the world as consumers are having difficulty understanding the difference between food waste, packaging waste and the true purpose of packaging when talking about food. Consumers need to understand that packaging is fundamental in helping the prevention and reduction of food waste.